Whether it’s just the two of you or with a group of friends, nothing beats spending a day on the true classic Windborne. 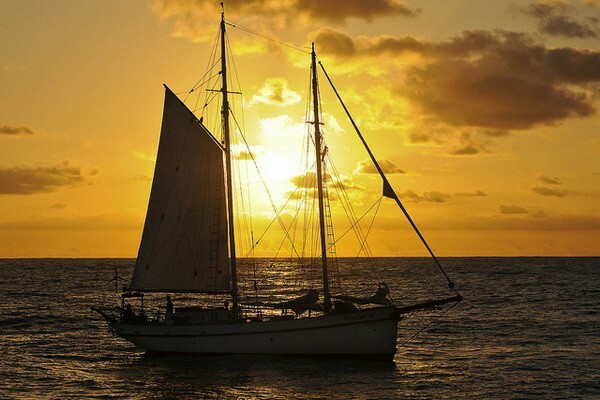 What could be better after a day on the Coromandel than a sunset cruise aboard Windborne? We leave from the Whitianga wharf at 5.00 pm and return around 8.00 pm. Bring your own bubbles and snacks or talk to the lovely deckhand Mihaela about catering. Don’t forget to bring a jacket for the evening chill. 1 to 5 persons. $500. 6 to 10 Persons $750. 11 to 20 persons $1000.